Questions? 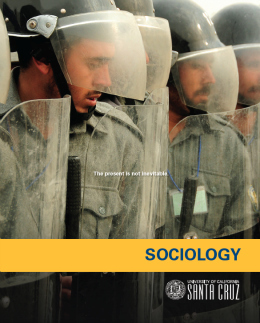 You can always reach us at socsci@ucsc.edu. The problems facing the world are complicated. People see these problems differently, influenced by their location, background, psychology, socioeconomic status, and a myriad of other factors. We look at things in a nuanced, empirically rigorous, and interdisciplinary way in order to develop uniquely informed solutions that will make a real difference. Fiscal Equity. Housing. Food Access. Locally and around the world, poverty and economic insecurity limits opportunity and reduces life chances. But it does not have to be this way. 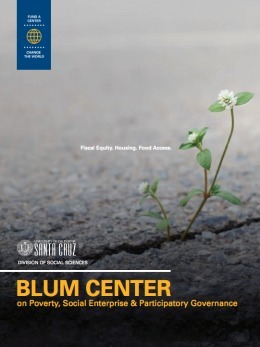 UCSC’s Blum Center addresses the causes and consequences of poverty and demonstrates how participatory governance and effective policies and programs can alleviate economic hardship. It is not about fixing people, it is about fixing systems. The roots of organic agriculture are right here. The prevailing system of growing and distributing food is not sustainable. It damages the earth, and it damages its inhabitants, resulting in poorer health and inequities in class, labor, and consumption. 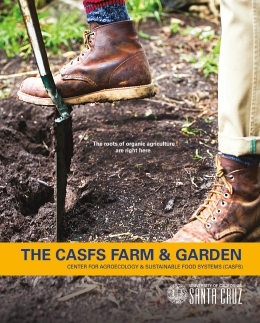 CASFS aims to change this by transforming food production on the planet. We envision organically grown, nutritious food for everyone, regardless of class, ethnicity, gender, age, or place. We respect the diversity of the planet’s organisms, and actively demonstrate how to take care of the land and water on which we depend. We are dedicated to creating a world in which those who grow, harvest, and process food are supported and respected for their critical work. Finance is the lifeblood of a modern economy. It is complex but essential. The Center for Analytical Finance (CAFIN) advances our understanding of financial market design, financial access, and large-scale risks to the financial system. Geography matters: The power of place. 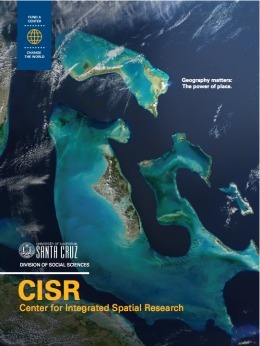 The Center for Integrated Spatial Research (CISR) provides key leadership in the use of spatial technology at UC Santa Cruz. The environmental and social challenges facing our planet all have geographic components. Knowledge of where things are located, and why they are located there, is essential to effectively addressing these challenges. Spatial technology provides the integrative platform for understanding large, complex geographic problems and applying this knowledge to the development of better solutions. If a picture is worth a thousand words, a map is worth a million. 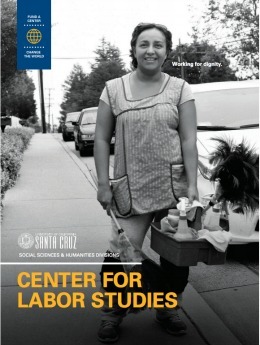 The Center for Labor Studies (CLS) is dedicated to the study of working people and the labor movement in California and beyond. 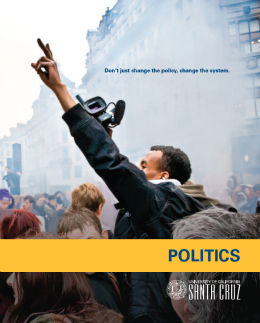 CLS underscores the University of California’s mission to explore public interest issues. Speci cally, we produce research addressing inequality, the changing nature of work, the rise of the low-wage economy, migration and mobility, affordable housing, and movements for labor justice. Equations can change the world. We believe in economics as a tool for real, tangible change. Our goal is to educate and empower students through research and teaching that emphasizes creative disruption and innovation. 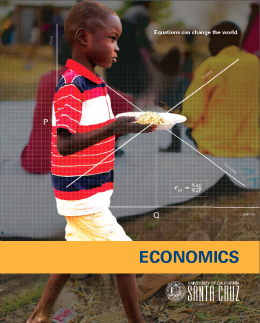 We use cutting-edge empirical methodology to develop and teach economic theory, and then apply that theory to pressing issues that have a practical impact on people’s lives. The environment—the natural and physical world that sustains life—is where many of our most pressing issues intersect. Population growth, consumption, rising inequality, and other political, economic, and demographic factors all have a profound impact on the environment. 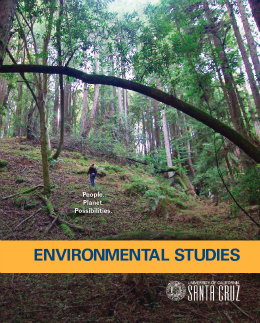 At UC Santa Cruz, we combine environmental science with social scientists’ insights into human behavior—whether political, cultural, or institutional—to find new and sustainable solutions to some of the biggest problems facing the world today. Hands on tech. Hearts on change. Minds on justice. 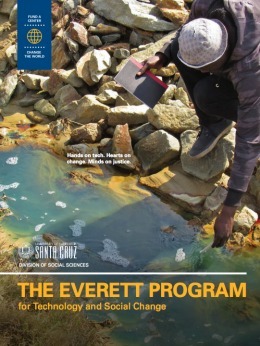 The Everett Program uses the technical, educational, and research resources of the university to work directly with communities, empowering people to design practical solutions to persistent problems. Our aim is to pursue social change through proactive solutions that make an immediate and enduring impact. Changing the face of science and technology. 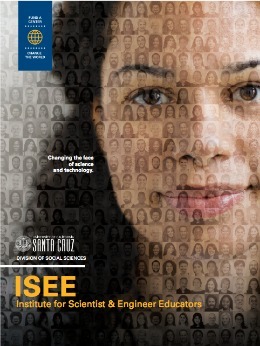 The Institute for Scientist & Engineer Educators (ISEE) is building a new kind of science, technology, engineering, and mathematics (STEM) workforce: one based on diversity and inclusivity. We train and position leaders in academia and industry in order to enable people from all backgrounds to succeed in STEM. 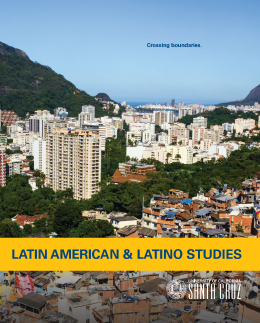 generation of discerning readers and producers of knowledge; a generation that challenges injustices and confronts problems impacting Latin America and Latina/o communities. Our faculty encourages LALS students to think critically and pursue activist research that can make a real difference in the world. We equip our students with the practical and analytics kills they will need to become leaders in the public and private sectors and in academia. Don't just change the policy, change the system. Citizens who think critically and are engaged in governance are necessary for a viable and functioning democracy. Simply voting is not enough. 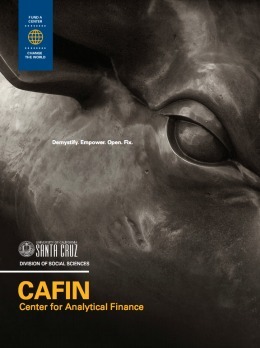 At UC Santa Cruz, we focus on how to enable a more just, more inclusive, and more equitable society. We focus on how and why policies are created and sustained. We equip students to ask the big questions, examine the bases of complex and entrenched policy structures, and take action towards tangible change. 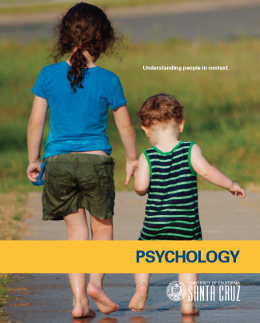 At UC Santa Cruz, our psychology curricula foster an understanding of the whole person in the context of their lived experience. Our work is grounded in both basic science and real-world issues, with practical applications for individuals, families, schools, institutions, technological innovation, and public policy. We maintain a collaborative research environment that engages students in vital ways. This is a crucial time in human history to focus on the mechanisms and implications of global migration. With cross-cultural understanding, we have an unprecedented opportunity to strengthen the bonds of the global community and improve the quality of life for all its members. Without it, the consequences are dire. Is the science just? This fundamental question is at the heart of everything we do. 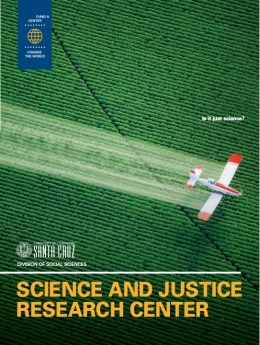 The Science and Justice Research Center (SJRC) works to infuse science with commitments to justice. We believe science is not just about what happens at the lab bench; it shapes the nature of our present and future. We inform and train a new generation of leaders who can create science and technology that are responsive to diverse needs and address vital concern. The present is not inevitable. We want to shake things up. 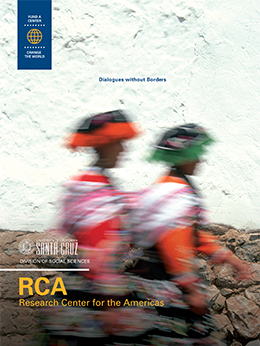 We challenge the basic precepts people bring to their understanding of society and culture. 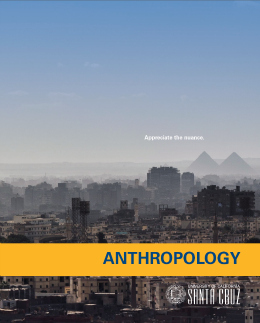 Our approach reflects the vast complexities of the modern, interconnected world. In order to adequately understand large-scale social problems, we combine areas that are often viewed separately: politics and emotion, science and justice, nature and the city.